Home / Apple / iOS / iPhone / iPhone X / iPhone XR / iPhone XS / iPhone XS Max / OS / Everyday More Complaints Keep Trailing The New Sets of iPhones!!! Everyday More Complaints Keep Trailing The New Sets of iPhones!!! Apple's new set of iPhones are exactly what most iPhone lovers had hoped for after last years's launch of the iPhone X. As you all know, Apple always try to get things done in a unique way so as to come out top on the competition. The only problem is that when they get it wrong, they also get the problem uniquely wrong. So many complaints have trailed the new sets of iPhones. Take for example the iPhone XS and XS Max, the most expensive set of iPhones ever built is said to be having weak WiFi and network signal strength. Considering the price, Apple users were expecting more peace of mind from this piece of gadget. A tear down of the new iPhone XS Max 256GB which is sold by Apple for $1,249 in the United States is said to be far worth less than the amount its been sold. 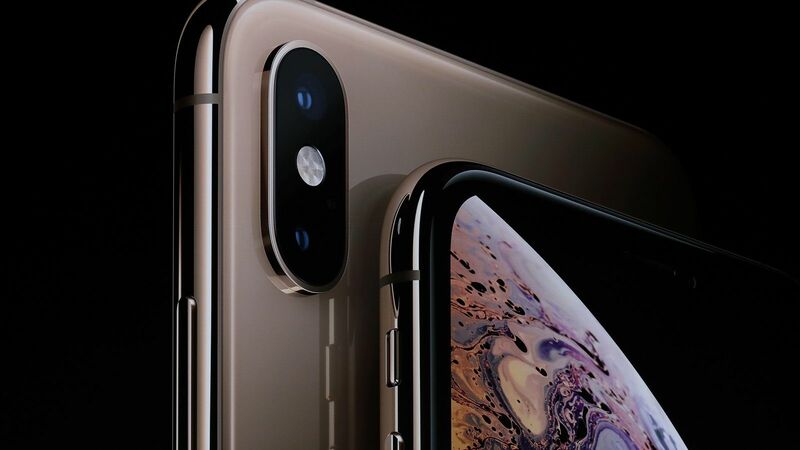 According to a research carried out by TechInsights, while estimating and looking into each cost part on the iPhone XS Max, the results sees Apple charging $1,249 for a device that the overall production costs just $443. That's almost three times the cost of production! Though the final cost of production involves research, development and marketing, the hefty price tag can't still be justified. The display on the iPhone XS Max, a 6.5-inch OLED panel which is the largest display ever used on an iPhone costs $80.50. The iPhone XS Max display is an upgrade from last years iPhone X 5.8-inch display which costs just $77.27. Now thats just a $3 difference despite the obvious difference between the two. Another problem associated with the new set of iPhones is the charging time when using wired charging...erm, even the wireless charger. According to a break down by PhoneArena, charging from flat to full with the bundled charger takes about 3 hours 3 minutes on the iPhone XS, while the iPhone takes about 3 hours 29 minutes -- findings PhoneArena reviewer Daniel Petrov described as "borderline criminal." Despite the heavy price of these devices, their charging speed still lag behind cheaper Android rivals from LG and OnePlus. "With most android phones, I can plug in my phone,take a shower and know that i have enough battery to get me several more hours of battery life," Todd Haselton of CNBC said. "With the iPhone XS and iPhone XS Max, unless I use a bigger charger like the one included with the iPad, I don;t get the same experience." Apple however, came out with a lame excuse for its decision to make a tiny charger. The Cupertino company said its reason for opting for a tiny charger was because her customers preferred it to larger ones due to its portable nature which makes it easy to be carried about.